It was very interesting to read K.C. Constantine’s sixth installment of the Mario Balzic series of mysteries, Always a Body to Trade. It was written in 1983 — more than 30 years ag0 — and it takes place in Rocksburg, a small town in rural, rustbelt Pennsylvania. In this novel, Balzic — sensible, generous, cynical, unarmed Chief of Police — isn’t having a good time. First, he’s faced with the ugly execution-style murder of a Jane Doe. Next, there are two burglaries of identical apartments, which he believes are linked to the drug trade, and possibly to the murder as well. And finally (and maybe worst of all), there’s a new mayor in Rocksburg, a naive, hysterical, inexperienced, overbearing clod with a strong taste for the limelight. Balzic has not only to solve crimes, but to teach his new boss the facts of police work. It’s an impossible task, of course. This is Balzic’s first real drug case, and he doesn’t know much about it. There are corrupt narcotics officers involved (something the mayor loses his mind over.) Worst (or best) of all, the Reverend Rutherford Rufee, African-American pastor by day and crimelord by night, is Balzic’s best hope for solving the case, but Rufee has an agenda of his own that’s not clear to Balzic at all. As Rufee provides one colorful informant after another, the threads of the case draw tighter, and the mayor’s education in the ways of this job gets grimly, hilariously sophisticated. The relationship between Balzic and Rufee is the most interesting in the novel. Balzic is a decent, solid man who would never consider himself racist, and there are small vignettes in the novel that show him enjoying black culture and being considerate and polite to individual African-Americans. (This despite the fact that he uses the n-word on a regular basis.) Rufee, however, is a flamboyant criminal who openly considers himself Balzic’s equal, and the tension in the dialogue between them is thick and palpable. In the end, it becomes clear that Rufee has misled Balzic, not for a criminal purpose — their goals overlap — but because Rufee understands that a white society will not serve a black population unless given a reason that’s important to the white people. And Balzic has to admit it, and it hurts. For a detective novel from 1983, this is intense stuff. I’ve been recommending this series for a couple of years now, and these books just keep getting better. The dialogue is spot-on, and the atmosphere of Rocksburg is as familiar in its frustrations as it is in its tenderness and its humor. Try out Mario Balzic, see what you think. 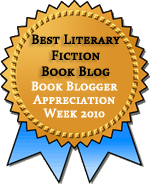 This entry was posted in Fiction, Mysteries/Crime, Uncategorized. Bookmark the permalink. I hope you’ve been attracting some readers to Constantine. Who knows? The wind blows where it wills. But at least I’m having fun. Next up, by the way, is Austerlitz. Ah, good, the novel where Sebald goes to McDonalds.